I always thought Panna Cotta was a 'difficult to make' dessert. But then now I realize, it isn't. 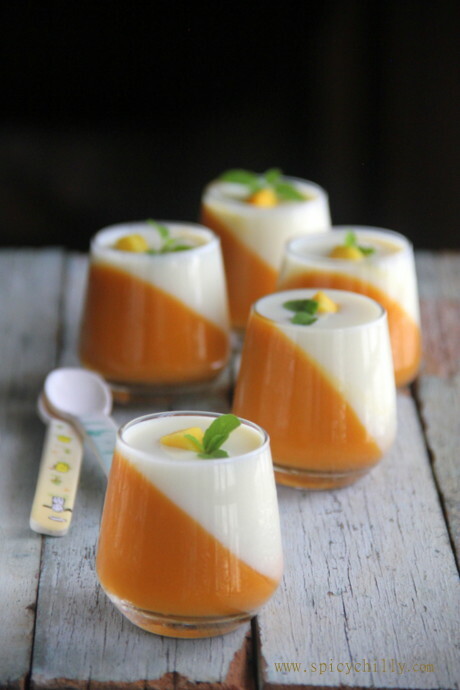 As a teen, I was obsessed with whipping up perfect puddings: caramel, mousse, tender coconut and had this flair to play with the hidden ingredient, agar agar or gelatin, which gave the body to the comforting desserts in various forms and flavours. Coming to Panna Cotta, which means cooked cream, as you all might know, is an Italian dessert, a basic one made of milk and cream, thickened and moulded by gelatin and flavoured with rum, coffee, vanilla etc. Generally, you might have come across 'Coulis' ( pronounced /kuːˈliː/ koo-LEE; French) is a form of thick sauce made from puréed and strained vegetables or fruits. The interesting note about this dessert is that it is quite a versatile one, means, once you get the hang of making the basic pudding, you can be creative with it. Before we start, let me tell you, I used 5 glass cups of 100 ml each. 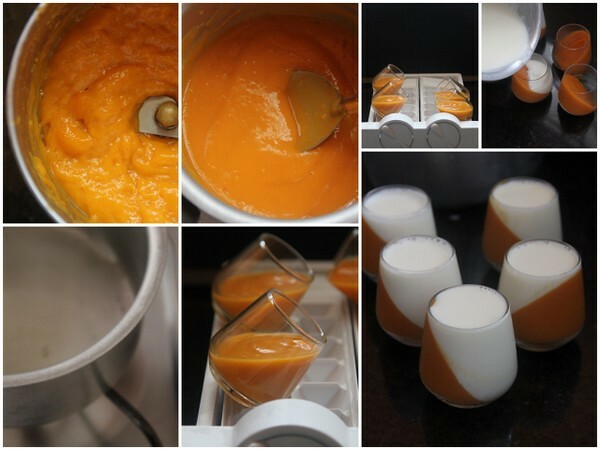 Hence I prepared 250 ml of mango pulp and 250 ml of milk and cream mixture to fill them all. Mix in sugar while you pulp the mango cubes. 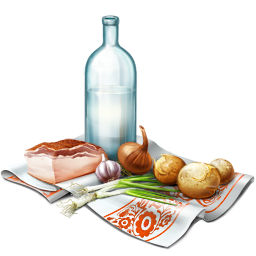 Take out the 1tsp gelatin from the refrigerator and melt gently in a pan in low and controlled flame on stove top. Transfer the mango pulp to this and combine in low heat just under the boiling point or remove from fire before it starts to bubble. 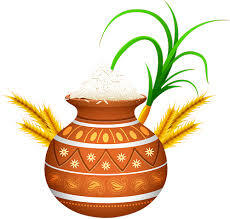 This is to ensure that the ingredients are incorporated well. Whisk gently while cooling down.While luke warm, transfer the mix gently to tilted glasses. I used my ice tray to hold the 45 deg position. Secure mouths with cling wraps. 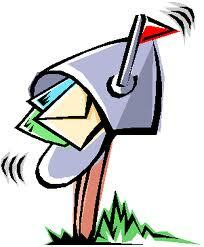 With utmost care, return to the refrigerator, holding the position :). I held my breath while doing it ;). Leave undisturbed for 4-6 hours until firm. Combine cream, milk and sugar and bring to a gentle boil, in low flame stirring until the sugar dissolves. Switch off. Repeat the above step for melting gelatin. Take out the 1tsp gelatin from the refrigerator and melt gently in another pan, in low and controlled flame. Stir in this to the above milk mixture along with vanilla. Whisk gently while the mixture cools down. Take out the mango coulis glasses which are set well enough. 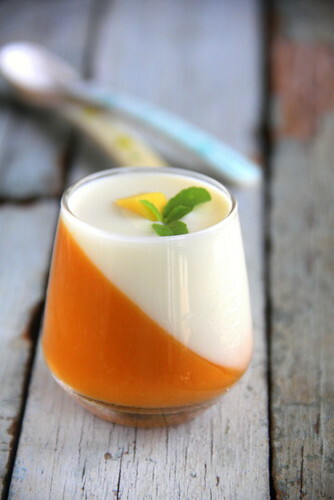 Pour in the milk mixture carefully to fill the mango layer on top. Place them back to chill as such in standing position. Secure with cling wraps. Milk mix gets set within a couple of hours. 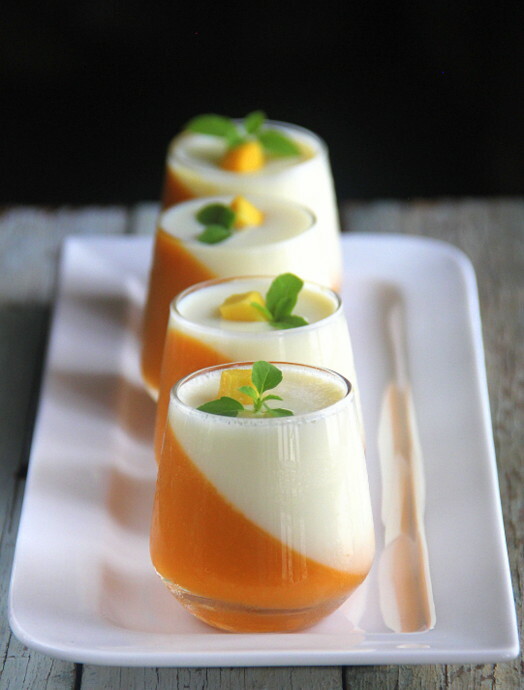 Serve chilled topped with mango slices and young mint leaves. I haven't tried with agar agar. A 5-7 gm sheet should suffice for the above quantity. You need to divide it into equal portions and soak in warm-hot water. Melt on stove top bringing to gentle simmers, until it dissolves completely. Finally combine with the mango coulis and milk mixture, separately. Remember, you do it for both as different batches with an interval of 6 hours. If done in one go, it solidifies as it is. Perfect panna cottas are softly firm or a bit wiggly rather than hard and firm. I personally prefer it less sweet and so added minimum sugar. 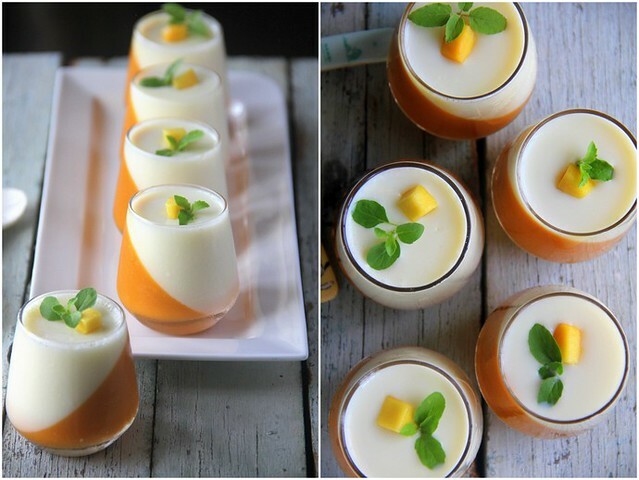 Looks so pretty,I doubt if I'd be able to destroy their beauty by devouring it :) Panna Cotta is something I'm yet to try making,should try this recipe before the mangoes disappear! It's looking so yummy and mango panna is my one of the favourite drinks.